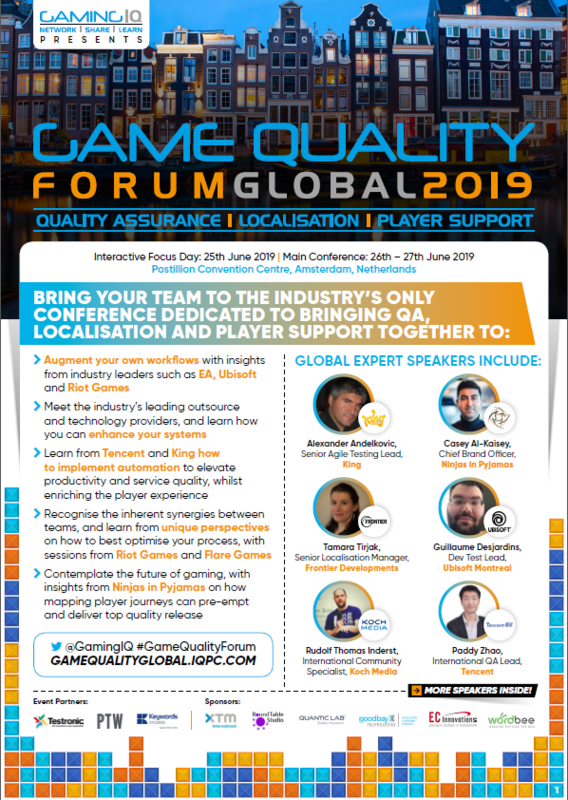 Take a look at the Game Quality Forum Global 2019 agenda for hottest topics and confirmed speakers at this years event! Don't like filling in forms? Email us at enquire@iqpc.co.uk and we'll send you a copy of the latest agenda! Fill in the form below, or email us at enquire@iqpc.co.uk for your copy of the agenda.